We have 6 fully self contained cottages at Jenolan Caves we are 6 kilometres from the Caves on the western 20 kilometres from the World Heritage listed Kanangra Boyd National Park and 18 kilometres from Oberon. We have built in to the side of a hill at 1300 metres so have commanding views of the countryside. We can see Katoomba, Medlow Bath and on a clear night the lights of Sydney.. Because we are one of the highest points on the Great Dividing Range we do experience some snow in winter but can never predict when it will be.In summer we are usually 10 degrees cooler than Sydney which makes a very pleasant climate but in winter our normal day temperature is 6 degrees going down to zero at night.This of course is no problem as we have slow combustion fires in all cabins which heat the place beautifully.We provide all linen and all beds have woolen doonas so there is no need to bring blankets . We have a communal BBQ area a laundry with a washer and dryer coin operated. Clean, tidy and cosy cabin! Beautiful views! We bothe enjoyed our time ! 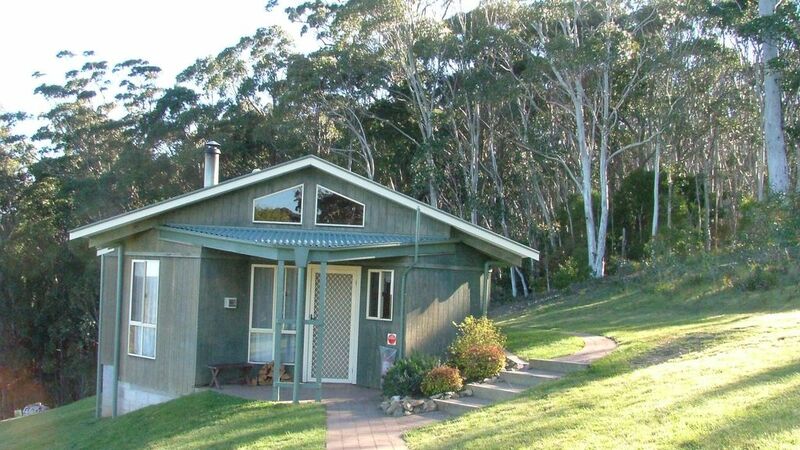 Everything you need for an affordable family holiday close to Jenolan Caves. Cosy log fire and awesome views! Peaceful, comfortable home away from home that kept us warm in the beautiful winter snow falls. A perfect getaway for those who enjoy peace and quiet and magnificent views from high on the mountain, yet surrounded by so much to see and do. Thanks for having the fire going - loved our stayi. We hope to visit again.